Yohan Dubois, Christophe Pichon, Charlotte Welker et al. A large-scale hydrodynamical cosmological simulation, Horizon-AGN, is used to investigate the alignment between the spin of galaxies and the cosmic filaments above redshift 1.2. The analysis of more than 150 000 galaxies per time step in the redshift range 1.2<z<1.8 with morphological diversity shows that the spin of low-mass blue galaxies is preferentially aligned with their neighbouring filaments, while high-mass red galaxies tend to have a perpendicular spin. The reorientation of the spin of massive galaxies is provided by galaxy mergers, which are significant in their mass build-up. We find that the stellar mass transition from alignment to misalignment happens around 3.1010 Msun. Galaxies form in the vorticity-rich neighbourhood of filaments, and migrate towards the nodes of the cosmic web as they convert their orbital angular momentum into spin. The signature of this process can be traced to the properties of galaxies, as measured relative to the cosmic web. We argue that a strong source of feedback such as active galactic nuclei is mandatory to quench in situ star formation in massive galaxies and promote various morphologies. It allows mergers to play their key role by reducing post-merger gas inflows and, therefore, keeping spins misaligned with cosmic filaments. The close relationship between mergers and the reorientation of the spin for galaxies and their host dark haloes is investigated using a cosmological hydrodynamical simulation (Horizon-AGN). Through a statistical analysis of merger trees, we show that spin swings are mainly driven by mergers along the filamentary structure of the cosmic web, and that these events account for the preferred perpendicular orientation of massive galaxies with respect to their nearest filament. By contrast, low-mass galaxies (Ms<1010 Msun at redshift 1.5) undergoing very few mergers, if at all, tend to possess a spin well aligned with their filament. Haloes follow the same trend as galaxies but display a greater sensitivity to smooth anisotropic accretion. The relative effect of mergers on spin magnitude is qualitatively different for minor and major mergers: mergers (and diffuse accretion) generally increase the magnitude of the angular momentum, but the most massive major mergers also give rise to a population of objects with less spin left. Without mergers secular accretion builds up the spin of galaxies but not that of haloes. It also (re)aligns galaxies with their filament. Sandrine Codis, Raphael Gavazzi, Yohan Dubois, Christophe Pichon et al. The intrinsic alignment of galaxy shapes and their cross-correlation with the surrounding dark matter tidal field are investigated using the 160 000, z=1.2 synthetic galaxies extracted from the high-resolution cosmological hydrodynamical simulation Horizon-AGN. One- and two-point statistics of the spin of the stellar component are measured as a function of mass and colour. For the low-mass galaxies, this spin is locally aligned with the tidal field `filamentary' direction while, for the high-mass galaxies, it is perpendicular to both filaments and walls. The bluest galaxies of our synthetic catalog are more strongly correlated with the surrounding tidal field than the reddest galaxies, and this correlation extends up to 10 Mpc/h comoving distance. We also report a correlation of the projected ellipticities of blue, intermediate mass galaxies on a similar scale at a level of 10-4 which could be a concern for cosmic shear measurements. We do not report any measurable intrinsic alignments of the reddest galaxies of our sample. This work is a first step toward the use of very realistic catalog of synthetic galaxies to evaluate the contamination of weak lensing measurement by the intrinsic galactic alignments. Sugata Kaviraj, Julien Devriendt, Yohan Dubois, Adrianne Slyz et al. We use Horizon-AGN, a hydrodynamical cosmological simulation, to explore the role of mergers in the evolution of massive (M > 1010 MSun) galaxies around the epoch of peak cosmic star formation (1<z<4). The fraction of massive galaxies in major mergers (mass ratio R<4:1) is around 3%, a factor of ~2.5 lower than minor mergers (4:1<R <10:1) at these epochs, with no trend with redshift. At z~1, around a third of massive galaxies have undergone a major merger, while all such systems have undergone either a major or minor merger. While almost all major mergers at z > 3 are 'blue' (i.e. have significant associated star formation), the proportion of 'red' mergers increases rapidly at z<2, with most merging systems at z~1.5 producing remnants that are red in rest-frame UV-optical colours. The star formation enhancement during major mergers is mild (~20-40%) which, together with the low incidence of such events, implies that this process is not a significant driver of early stellar mass growth. Mergers (R < 10:1) host around a quarter of the total star formation budget in this redshift range, with major mergers hosting around two-thirds of this contribution. Notwithstanding their central importance to the standard LCDM paradigm, mergers are minority players in driving star formation at the epochs where the bulk of today's stellar mass was formed. Charlotte Welker, Yohan Dubois, Julien Devriendt, Christophe Pichon et al. 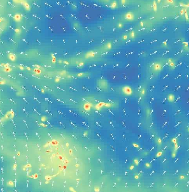 Building galaxy merger trees from a state-of-the-art cosmological hydrodynamics simulation, Horizon-AGN, we perform a statistical study of how mergers and smooth accretion drive galaxy morphologic properties above z>1. More specifically, we investigate how stellar densities, effective radii and shape parameters derived from the inertia tensor depend on mergers of different mass ratios. We find strong evidence that smooth accretion tends to flatten small galaxies over cosmic time, leading to the formation of disks. On the other hand, mergers, and not only the major ones, exhibit a propensity to puff up and destroy stellar disks, confirming the origin of elliptical galaxies. We also find that elliptical galaxies are more susceptible to grow in size through mergers than disc galaxies with a size-mass evolution r prop M1.2 instead of r prop M-0.5 - M0.5 depending on the merger mass ratio. The gas content drive the size-mass evolution due to merger with a faster size growth for gas-poor galaxies r prop M2 than for gas-rich galaxies r prop M.
Nora Chisari, Sandrine Codis, Chlotilde Laigle, Yohan Dubois, Christophe Pichon, Julien Devriendt, Adrianne Slyz et al. The intrinsic alignments of galaxies are recognised as a contaminant to weak gravitational lensing measurements. In this work, we study the alignment of galaxy shapes and spins at low redshift (z~0.5) in Horizon-AGN, an adaptive-mesh-refinement hydrodynamical cosmological simulation box of 100 Mpc/h a side with AGN feedback implementation. We find that spheroidal galaxies in the simulation show a tendency to be aligned radially towards over-densities in the dark matter density field and other spheroidals. This trend is in agreement with observations, but the amplitude of the signal depends strongly on how shapes are measured and how galaxies are selected in the simulation. Disc galaxies show a tendency to be oriented tangentially around spheroidals in three-dimensions. While this signal seems suppressed in projection, this does not guarantee that disc alignments can be safely ignored in future weak lensing surveys. The shape alignments of luminous galaxies in Horizon-AGN are in agreement with observations and other simulation works, but we find less alignment for lower luminosity populations. We also characterize the systematics of galaxy shapes in the simulation and show that they can be safely neglected when measuring the correlation of the density field and galaxy ellipticities. Using the cosmological hydrodynamics simulation Horizon-AGN, we investigate the spatial distribution of satellite galaxies relative to their central counterpart in the redshift range between 0.3 and 0.8. We find that, on average, these satellites tend to be located on the galactic plane of the central object. 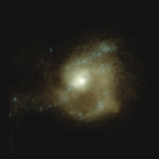 This effect is detected for central galaxies with a stellar mass larger than 10^10 solar masses and found to be strongest for red passive galaxies, while blue galaxies exhibit a weaker trend. For galaxies with a minor axis parallel to the direction of the nearest filament, we find that the coplanarity is stronger in the vicinity of the central galaxy, and decreases when moving towards the outskirts of the host halo. By contrast, the spatial distribution of satellite galaxies relative to their closest filament follows the opposite trend: their tendency to align with them dominates at large distances from the central galaxy, and fades away in its vicinity. Relying on mock catalogs of galaxies in that redshift range, we show that massive red centrals with a spin perpendicular to their filament also have corotating satellites well aligned with both the galactic plane and the filament. On the other hand, lower-mass blue centrals with a spin parallel to their filament have satellites flowing straight along this filament, and hence orthogonally to their galactic plane. The orbit of these satellites is then progressively bent towards a better alignment with the galactic plane as they penetrate the central region of their host halo. The kinematics previously described are consistent with satellite infall and spin build-up via quasi-polar flows, followed by a re-orientation of the spin of massive red galaxies through mergers. We analyze the demographics of black holes (BHs) in the large-volume cosmological hydrodynamical simulation Horizon-AGN. This simulation statistically models how much gas is accreted onto BHs, traces the energy deposited into their environment and, consequently, the back-reaction of the ambient medium on BH growth. The synthetic BHs reproduce a variety of observational constraints such as the redshift evolution of the BH mass density and the mass function. Yet there seem to be too many BHs with mass~ 1e7 Msun at high redshift, and too few BHs with similar mass at z=0 in intermediate-mass galaxies. Strong self-regulation via AGN feedback, weak supernova feedback, and unresolved internal process are likely to be responsible for this, and for a tight BH-galaxy mass correlation. Starting at z~2, tidal stripping creates a small population of BHs over-massive with respect to the halo. The fraction of galaxies hosting a central BH or an AGN increases with stellar mass. The AGN fraction agrees better with multi-wavelength studies, than single-wavelength ones, unless obscuration is taken into account. The most massive halos present BH multiplicity, with additional BHs gained by ongoing or past mergers. In some cases, both a central and an off-center AGN shine concurrently, producing a dual AGN. This dual AGN population dwindles with decreasing redshift, as found in observations. Specific accretion rate and Eddington ratio distributions are in good agreement with observational estimates. The BH population is dominated in turn by fast, slow, and very slow accretors, with transitions occurring at z=3 and z=2 respectively. Elisa Nora Chisari, Clotilde Laigle, Sandrine Codis, Yohan Dubois et al. 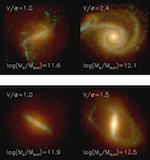 Intrinsic galaxy shape and angular momentum alignments can arise in cosmological large-scale structure due to tidal interactions or galaxy formation processes. Cosmological hydrodynamical simulations have recently come of age as a tool to study these alignments and their contamination to weak gravitational lensing. We probe the redshift and luminosity evolution of intrinsic alignments in Horizon-AGN between z=0 and z=3 for galaxies with an r-band absolute magnitude of Mr<20. Alignments transition from being radial at low redshifts and high luminosities, dominated by the contribution of ellipticals, to being tangential at high redshift and low luminosities, where discs dominate the signal. This cannot be explained by the evolution of the fraction of ellipticals and discs alone: intrinsic evolution in the amplitude of alignments is necessary. We constrain the evolution of the alignment amplitude as a function of luminosity for elliptical galaxies alone and find it to be in good agreement with current observations and the nonlinear tidal alignment model at projected separations of ~1 Mpc. Alignments of discs are null in projection and consistent with current low redshift observations. The combination of the two populations yields an overall amplitude to be a factor of ~2 lower than observed alignments of luminous red galaxies with a steeper luminosity dependence. The restriction on accurate galaxy shapes implies that the galaxy population in the simulation is complete only to Mr<20. Higher resolution simulations will be necessary to avoid extrapolation of the intrinsic alignment predictions to the range of luminosities probed by future surveys. Sugata Kaviraj, Clotilde Laigle, Taysun Kimm, Julien Devriendt et al. We compare the predictions of Horizon-AGN, a hydro-dynamical cosmological simulation that uses an adaptive mesh refinement code, to observational data in the redshift range 0 < z < 6. 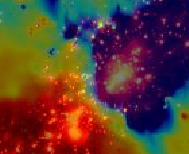 We study the reproduction, by the simulation, of quantities that trace the aggregate stellar-mass growth of galaxies over cosmic time: luminosity and stellar-mass functions, the star formation main sequence, rest-frame UV-optical-near infrared colours and the cosmic star-formation history. We show that Horizon-AGN, which is not tuned to reproduce the local Universe, produces good overall agreement with these quantities, from the present day to the epoch when the Universe was 5% of its current age. By comparison to Horizon-noAGN, a twin simulation without AGN feedback, we quantify how feedback from black holes is likely to help shape galaxy stellar-mass growth in the redshift range 0 < z < 6, particularly in the most mas- sive galaxies. Our results demonstrate that Horizon-AGN successfully captures the evolutionary trends of observed galaxies over the lifetime of the Universe, making it an excellent tool for studying the processes that drive galaxy evolution and making predictions for the next generation of galaxy surveys. Yohan Dubois, Sebastien Peirani, Christophe Pichon, Julien Devriendt et al. The interplay between cosmic gas accretion onto galaxies and galaxy mergers drives the observed morphological diversity of galaxies. By comparing the state-of-the-art hydrodynamical cosmological simulations Horizon-AGN and Horizon-noAGN, we unambiguously identify the critical role of Active Galactic Nuclei (AGN) in setting up the correct galaxy morphology for the massive end of the population. With AGN feedback, typical kinematic and morpho-metric properties of galaxy populations as well as the galaxy-halo mass relation are in much better agreement with observations. Only AGN feedback allows massive galaxies at the center of groups and clusters to become ellipticals, while without AGN feedback those galaxies reform discs. It is the merger-enhanced AGN activity that is able to freeze the morphological type of the post-merger remnant by durably quenching its quiescent star formation. Hence morphology is shown not to be purely driven by mass but also by the nature of cosmic accretion: at constant galaxy mass, ellipticals are galaxies that are mainly assembled through mergers, while discs are preferentially built from the in situ star formation fed by smooth cosmic gas infall. Sebastien Peirani, Yohan Dubois, Marta Volonteri, Julien Devriendt et al. Using a suite of three large cosmological hydrodynamical simulations, HORIZON-AGN, HORIZON-NOAGN (no AGN feedback) and HORIZON-DM (no baryons), we investigate how a typical sub-grid model for AGN feedback affects the evolution of the inner density profiles of massive dark matter haloes and galaxies. Based on direct object-to-object comparisons, we find that the integrated inner mass and den- sity slope differences between objects formed in these three simulations (hereafter, HAGN, HnoAGN and HDM) significantly evolve with time. More specifically, at high redshift (z ∼ 5), the mean central density profiles of HAGN and HnoAGN dark mat- ter haloes tend to be much steeper than their HDM counterparts owing to the rapidly growing baryonic component and ensuing adiabatic contraction. By z ∼ 1.5, these mean halo density profiles in HAGN have flattened, pummelled by powerful AGN ac- tivity (“quasar mode”): the integrated inner mass difference gaps with HnoAGN haloes have widened, and those with HDM haloes have narrowed. Fast forward 9.5 billion years, down to z = 0, and the trend reverses: HAGN halo mean density profiles drift back to a more cusped shape as AGN feedback efficiency dwindles (“radio mode”), and the gaps in integrated central mass difference with HnoAGN and HDM close and broaden respectively. On the galaxy side, the story differs noticeably. Averaged stellar profile central densities and inner slopes are monotonically reduced by AGN activity as a function of cosmic time, resulting in better agreement with local observations. As both dark matter and stellar inner density profiles respond quite sensitively to the presence of a central AGN, there is hope that future observational determinations of these quantities can be used constrain AGN feedback models. Ricarda Beckmann, Julien Devriendt, Adrianne Slyz, Sebastien Peirani et al. The observed massive end of the local galaxy stellar mass function is steeper than its predicted dark matter (DM) halo counterpart in the standard ΛCDM paradigm. We investigate how the effect of active galactic nuclei (AGN) feedback can account for such a reduction in the stellar content of massive galaxies, through an influence on the gas content of their interstellar (ISM) and circum-galactic medium (CGM). We isolate the impact of AGNs by comparing two simulations from the HORIZON suite, which are identical except that one includes super massive black holes (SMBH), and related feedback models. This allows us to cross-identify individual galaxies between these simulations and quantify the effect of AGN feedback on their properties, such as stellar mass and gas outflows. We find that the most massive galaxies (M∗ ≥ 3 × 10^11 M⊙) are quenched to the extent that their stellar masses decrease by about 80% at z = 0. More generally, SMBHs affect their host halo through a combination of outflows that reduce their baryonic mass, particularly for galaxies in the mass range 10^9 M⊙ ≤ M∗ ≤ 10^11 M⊙, and a disruption of central gas inflows, which limits in-situ star formation, particularly massive galaxies with M∗ ≈ 10^11 M⊙. As a result of these processes, net gas inflows onto massive galaxies drop by up to 70%. Finally, we measure a redshift evolution in the stellar mass ratio of twin galaxies with and without AGN feedback, with galaxies of a given stellar mass showing stronger signs of quenching earlier on. This evolution is driven by a progressive flattening of the MSMBH − M∗ relation for galaxies with M∗ ≤ 10^10 M⊙ as redshift decreases, which translates into smaller SBMHs being harboured by galaxies of any fixed stellar mass. 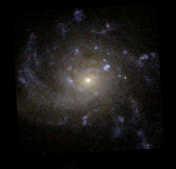 This in turn indicates that stronger AGN feedback is operating at higher redshift. Elisa Chisari,N. 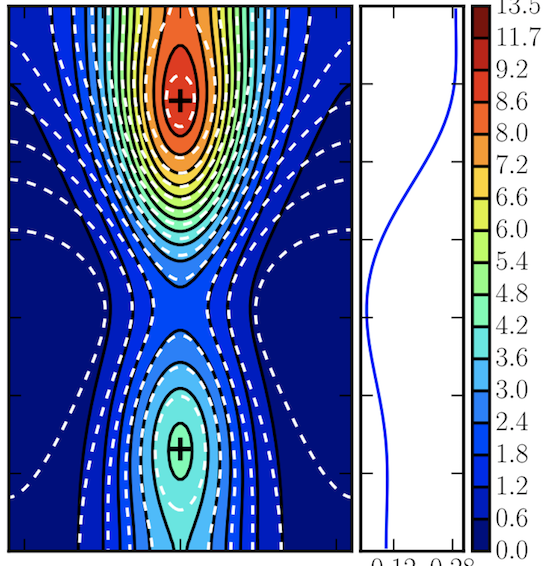 Koukoufilippas, A. Jindal, Sebastien Peirani et al. Intrinsic alignments of galaxies are a significant astrophysical systematic affecting cosmological constraints from weak gravitational lensing. Obtaining numerical pre- dictions from hydrodynamical simulations of expected survey volumes is expensive, and a cheaper alternative relies on populating large dark matter-only simulations with accurate models of alignments calibrated on smaller hydrodynamical runs. 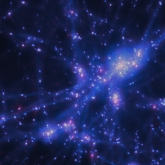 This requires connecting the shapes and orientations of galaxies to those of dark matter halos and to the large-scale structure. In this paper, we characterise galaxy- halo alignments in the Horizon-AGN cosmological hydrodynamical simulation. We compare the shapes and orientations of galaxies in the redshift range 0 < z < 3 to those of their embedding dark matter halos, and to the matching halos of a twin dark-matter only run with identical initial conditions. We find that galaxy ellip- ticities in general cannot be predicted directly from halo ellipticities. The mean misalignment angle between the minor axis of a galaxy and its embedding halo is a function of halo mass, with residuals arising from the dependence of alignment on galaxy type, but not on environment. Halos are much more strongly aligned among themselves than galaxies, and they decrease their alignment towards low redshift. 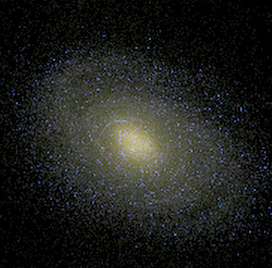 Galaxy alignments compete with this effect, as galaxies tend to increase their alignment with halos towards low redshift. We discuss the implications of these results for current halo models of intrinsic alignments and suggest several avenues for improvement. Clotilde Laigle, Christophe Pichon, Stephane Arnouts, Henry Joy McCracken et al. The variations of galaxy stellar masses and colour-types with the distance to projected cos- mic filaments are quantified using the precise photometric redshifts of the COSMOS2015 catalogue extracted from COSMOS field (2 deg2). Realistic mock catalogues are also extracted from the lightcone of the cosmological hydrodynamical simulation HORIZON-AGN. They show that the photometric redshift accuracy of the observed catalogue (σ_z < 0.015 at M∗ > 10^10 M⊙ and z < 0.9) is sufficient to provide 2D filaments that closely match their projected 3D counterparts. Transverse stellar mass gradients are measured in projected slices of thickness 75 Mpc between 0.5 < z < 0.9, showing that the most massive galaxies are statistically closer to their neighbouring filament. At fixed stellar mass, passive galaxies are also found closer to their filament while active star-forming galaxies statistically lie further away. 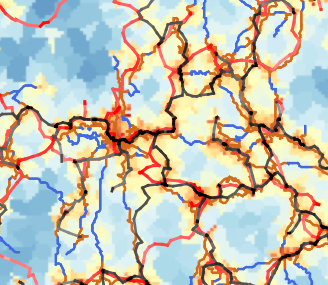 The contributions of nodes and local density are removed from these gradients to high- light the specific role played by the geometry of the filaments. We find that the measured signal does persist after this removal, clearly demonstrating that proximity to a filament is not equivalent to proximity to an over-density. These findings are in agreement with gradients measured both in 2D or 3D in the HORIZON-AGN simulation and those observed in the spectroscopic VIPERS survey (which rely on the identification of 3D filaments). They are consistent with a picture in which the influence of the geometry of the large-scale environ- ment drives anisotropic tides which impact the assembly history of galaxies, and hence their observed properties. Katarina Kraljic,Stephane Arnouts, Christophe Pichon, Clotilde Laigle et al. The role of the cosmic web in shaping galaxy properties is investigated in the GAMA spectroscopic survey in the redshift range 0.03≤z≤0.25. The stellar mass, u−r dust corrected colour and specific star formation rate (sSFR) of galaxies are analysed as a function of their distances to the 3D cosmic web features, such as nodes, filaments and walls, as reconstructed by DisPerSE. Significant mass and type/colour gradients are found for the whole population, with more massive and/or passive galaxies being located closer to the filament and wall than their less massive and/or star-forming counterparts. Mass segregation persists among the star-forming population alone. 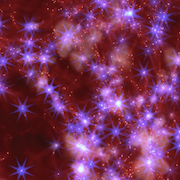 The red fraction of galaxies increases when closing in on nodes, and on filaments regardless of the distance to nodes. Similarly, the star-forming population reddens (or lowers its sSFR) at fixed mass when closing in on filament, implying that some quenching takes place. Comparable trends are also found in the state-of-the-art hydrodynamical simulation Horizon-AGN. These results suggest that on top of stellar mass and large-scale density, the traceless component of the tides from the anisotropic large-scale environment also shapes galactic properties. An extension of excursion theory accounting for filamentary tides provides a qualitative explanation in terms of anisotropic assembly bias: at a given mass, the accretion rate varies with the orientation and distance to filaments. 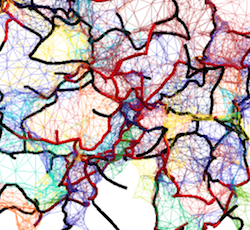 It also explains the absence of type/colour gradients in the data on smaller, non-linear scales. Garreth Martin,Sugata Kaviraj, Marta Volonteri, Brooke Simmons et al. Understanding the processes that drive the formation of black holes (BHs) is a key topic in observational cosmology. While the observed MBH--MBulge correlation in bulge-dominated galaxies is thought to be produced by major mergers, the existence of a MBH--M⋆ relation, across all galaxy morphological types, suggests that BHs may be largely built by secular processes. Recent evidence that bulge-less galaxies, which are unlikely to have had significant mergers, are offset from the MBH--MBulge relation, but lie on the MBH--M⋆ relation, has strengthened this hypothesis. Nevertheless, the small size and heterogeneity of current datasets, coupled with the difficulty in measuring precise BH masses, makes it challenging to address this issue using empirical studies alone. Here, we use Horizon-AGN, a cosmological hydrodynamical simulation to probe the role of mergers in BH growth over cosmic time. We show that (1) as suggested by observations, simulated bulge-less galaxies lie offset from the main MBH--MBulge relation, but on the MBH--M⋆ relation, (2) the positions of galaxies on the MBH--M⋆ relation are not affected by their merger histories and (3) only ∼35 per cent of the BH mass in today's massive galaxies is directly attributable to merging -- the majority (∼65 per cent) of BH growth, therefore, takes place gradually, via secular processes, over cosmic time. As endpoints of the hierarchical mass-assembly process, the stellar populations of local early-type galaxies encode the assembly history of galaxies over cosmic time. We use Horizon-AGN, a cosmological hydrodynamical simulation, to study the merger histories of local early-type galaxies and track how the morphological mix of their progenitors evolves over time. We provide a framework for alleviating `progenitor bias' -- the bias that occurs if one uses only early-type galaxies to study the progenitor population. Early-types attain their final morphology at relatively early epochs -- by z∼1, around 60 per cent of today's early-types have had their last significant merger. At all redshifts, the majority of mergers have one late-type progenitor, with late-late mergers dominating at z>1.5 and early-early mergers becoming significant only at z<0.5. Progenitor bias is severe at all but the lowest redshifts -- e.g. at z∼0.6, less than 50 per cent of the stellar mass in today's early-types is actually in progenitors with early-type morphology, while, at z∼2, studying only early-types misses almost all (80 per cent) of the stellar mass that eventually ends up in local early-type systems. At high redshift, almost all massive late-type galaxies, regardless of their local environment or star-formation rate, are progenitors of local early-type galaxies, as are lower-mass (M⋆ < 1010.5 M⊙) late-types as long as they reside in high density environments. In this new era of large observational surveys (e.g. LSST, JWST), this study provides a framework for studying how today's early-type galaxies have been built up over cosmic time. Elisa Chisari,Mark Richardson, Julien Devriendt, Yohan Dubois, Aurel Scheider et al. Accurate cosmology from upcoming weak lensing surveys relies on knowledge of the total matter power spectrum at percent level at scales k<10 h/Mpc, for which modelling the impact of baryonic physics is crucial. We compare measurements of the total matter power spectrum from the Horizon cosmological hydrodynamical simulations: a dark matter-only run, one with full baryonic physics, and another lacking Active Galactic Nuclei (AGN) feedback. Baryons cause a suppression of power at k≃10 h/Mpc of <15% at z=0, and an enhancement of a factor of a few at smaller scales due to the more efficient cooling and star formation. 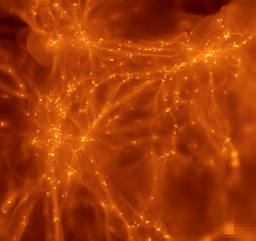 The results are sensitive to the presence of the highest mass haloes in the simulation and the distribution of dark matter is also impacted up to a few percent. The redshift evolution of the effect is non-monotonic throughout z=0−5 due to an interplay between AGN feedback and gas pressure, and the growth of structure. We investigate the effectiveness of the "baryonic correction model" proposed by Schneider & Teyssier (2015) in describing our results. We require a different redshift evolution and propose an alternative fitting function with 4 free parameters that reproduces our results within 5%. Compared to other simulations, we find the impact of baryonic processes on the total matter power spectrum to be smaller at z=0. Nevertheless, our results also suggest that AGN feedback is not strong enough in the simulation. Charlotte Welker,Chris Power, Christophe n Pichon, Yohan Dubois, Julien Devriendt et al. The anisotropic distribution of satellites around the central galaxy of their host halo is well-documented. However the relative impact of baryons and dark matter in shaping this distribution is still debated. Using the simulation Horizon-AGN, the angular distribution of satellite galaxies with respect to their central counterpart and halo is quantified. Below one Rvir, satellites cluster more strongly in the plane of the central, rather than merely tracing the shape of their host halo. This is due to the increased isotropy of inner haloes acquired through their inside-out assembly in vorticity-rich flows along the cosmic web. While the effect of centrals decreases with distance, halos' triaxiality increases, impacting more and more the satellite's distribution. Effects become comparable just outside one virial radius. Above this scale, the filamentary infall also impacts the satellites distribution, dominating above two virial radii. The central's morphology plays a governing role: the alignment w.r.t. the central plane is four times stronger in haloes hosting stellar discs than in spheroids. But the impact of the galactic plane decreases for lower satellite-to-central mass ratios, suggesting this might not hold for dwarf satellites of the Local group. The orientation of the Milky-Way's satellites traces their cosmic filament, their level of coplanarity is consistent with systems of similar mass and cosmic location in Horizon-AGN. However, the strong impact of galactic planes in massive groups and clusters bounds the likelihood of finding a relaxed region where satellites can be used to infer halo shape. The minor-to-major axis ratios for haloes with log(M0/Msun)>13.5 is underestimated by 10%. This error soars quickly to 30-40% for individual halo measurements. Garrett Martin, Sugata Kaviraj, Julien Devriendt, Yohan Dubois, Clotilde Laigle et al. A key unresolved question is the role that galaxy mergers play in driving stellar mass growth over cosmic time. Recent observational work hints at the possibility that the overall contribution of `major' mergers (mass ratios ≳1:4) to cosmic stellar mass growth may be small, because they enhance star formation rates by relatively small amounts at high redshift, when much of today's stellar mass was assembled. However, the heterogeneity and relatively small size of today's datasets, coupled with the difficulty in identifying genuine mergers, makes it challenging to empirically quantify the merger contribution to stellar mass growth. Here, we use Horizon-AGN, a cosmological hydrodynamical simulation, to comprehensively quantify the contribution of mergers to the star formation budget over the lifetime of the Universe. We show that: (1) both major and minor mergers enhance star formation to similar amounts, (2) the fraction of star formation directly attributable to merging is small at all redshifts (e.g. ∼35 and ∼20 per cent at z∼3 and z∼1 respectively) and (3) only ∼25 per cent of today's stellar mass is directly attributable to galaxy mergers over cosmic time. Our results suggest that smooth accretion, not merging, is the dominant driver of stellar mass growth over the lifetime of the Universe. Katarina Kraljic, Christophe Pichon, Yohan Dubois, Sandrine Codis et al. 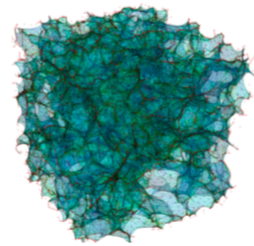 The strikingly anisotropic large-scale distribution of matter is made of an extended network of voids delimited by sheets, themselves segmented by high-density filaments, within which matter flows towards compact nodes where they intersect. Such a structure imprints its ge- ometry and dynamics on cosmic flows, ultimately shaping the distribution of galaxies and the redshift evolution of their properties. 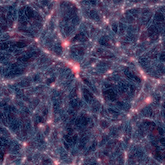 The (filament-type) saddle points of this cosmic web lying in the middle of filaments and connecting the two nodes thus naturally provide a local frame in which to quantify the induced physical and morphological evolution of galaxies on large (∼ Mpc) scales. The properties of virtual galaxies within the HORIZON-AGN simulation are stacked in such a frame. The iso-contours of the galactic number density, mass, specific star formation rate (sSFR), kinematics and age display a clear alignment with the filament axis and steeper gradients perpendicular to the filaments. 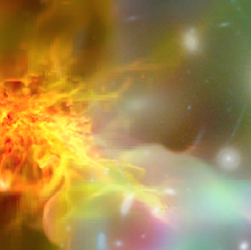 A comparison to the statistics in the same simulation without feedback from active galactic nuclei (AGN) illustrates its impact on quenching star formation of central galaxies away from the saddles. The redshift evolution of the properties of galaxies and their age distribution at redshift zero in the frame of the saddle are consistent with the geometry of the bulk flow within that frame. They compare quali- tatively well with expectations from constrained Gaussian random fields and the expected scaling with the mass of non-linearity, modulo the redshift dependent impact of feedback pro- cesses. Physical properties such as sSFR and kinematics seem not to depend only on mean halo mass and density: the residuals trace the geometry of the saddle, which could point to other environment-sensitive physical processes, such as spin advection, and AGN feedback at high mass. Sandrine Codis, A Jindal, E. Chisari, Didier Vibert et al. This work investigates the alignment of galactic spins with the cosmic web across cosmic time using the cosmological hydrodynamical simulation Horizon-AGN. 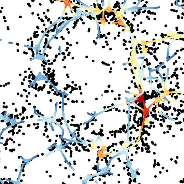 The cosmic web structure is extracted via the persistent skeleton as implemented in the DISPERSE algorithm. It is found that the spin of low-mass galaxies is more likely to be aligned with the filaments of the cosmic web and to lie within the plane of the walls while more massive galaxies tend to have a spin perpendicular to the axis of the filaments and to the walls. The mass transition is detected with a significance of 9 sigmas. This galactic alignment is consistent with the alignment of the spin of dark haloes found in pure dark matter simulations and with predictions from (anisotropic) tidal torque theory. However, unlike haloes, the alignment of low-mass galaxies is weak and disappears at low redshifts while the orthogonal spin orientation of massive galaxies is strong and increases with time, probably as a result of mergers. 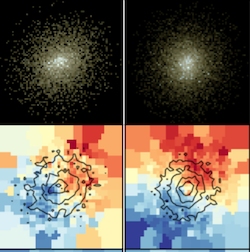 At fixed mass, alignments are cor- related with galaxy morphology: the high-redshift alignment is dominated by spiral galaxies while elliptical centrals dominate the perpendicular population. These predictions for spin alignments wrt cosmic filaments and unprecendently walls are successfully compared with existing observations. The alignment of the shape of galaxies with respect to the different components of the cosmic web is also investigated. A coherent and stronger signal is found in terms of shape at high mass. The two regimes probed in this work induce competing galactic alignment signals for weak lensing, with opposite redshift and luminosity evolution. Understanding the details of these intrinsic alignments will be key to exploit future major cosmic shear surveys like Euclid or LSST. Hoseung Choi, Sukyoung Yi, Yohan Dubois, Taysun Kimm et al. Using the Horizon-AGN simulation data, we study the relative role of mergers and environmental effects in shaping the spin of early-type galaxies (ETGs) after z ≃ 1. We follow the spin evolution of 10,037 color-selected ETGs more massive than 10^10 M⊙ that are divided into four groups: cluster centrals (3%), cluster satellites (33%), group centrals (5%), and field ETGs (59%). We find a strong mass dependence of the slow rotator fraction, fSR, and the mean spin of massive ETGs. Although we do not find a clear environmental dependence of fSR, a weak trend is seen in the mean value of spin parameter driven by the satellite ETGs as they gradually lose their spin as their environment becomes denser. Galaxy mergers appear to be the main cause of total spin changes in 94% of central ETGs of halos with Mvir > 10^12.5M⊙, but only 22% of satellite and field ETGs. We find that non-merger induced tidal perturbations better correlate with the galaxy spin-down in satellite ETGs than mergers. Given that the majority of ETGs are not central in dense environments, we conclude that non-merger tidal perturbation effects played a key role for the spin evolution of ETGs observed in the local (z < 1) universe. Alexander Spacek, Mark Richardson, Evan Scannapieco, Julien Devriendt et al. Energetic feedback from active galactic nuclei (AGNs) is often used in simulations to resolve several outstanding issues in galaxy formation, but its impact is still not fully understood. Here, we derive new constraints on AGN feedback by comparing observations and simulations of the thermal Sunyaev–Zel’dovich (tSZ) effect. We draw on previous observational results that used data from the South Pole Telescope (SPT) and Atacama Cosmology Telescope (ACT) to measure the tSZ signal from ≥10^11 M ⊙ and ≥1 Gyr galaxies at z = 0.5–1.0 (low-z) and z = 1.0–1.5 (high-z). Using the large-scale cosmological hydrodynamical simulations Horizon-AGN and Horizon-NoAGN, which include and omit AGN feedback, we extract simulated tSZ measurements around galaxies equivalent to the observational work. We find that the Horizon-AGN results only differ from the SPT measurements at levels of 0.4σ (low-z) and 0.6σ (high-z), but differ from the ACT measurements by 3.4σ (low-z) and 2.3σ (high-z). The Horizon-noAGN results provide a slightly better fit to the SPT measurements by differing by 0.2σ (low-z) and 0.4σ (high-z), but are a significantly better match to the ACT measurements by differing by only 0.5σ (low-z) and 1.4σ (high-z). We conclude that, while the lower-mass (≲5 × 10^11 M ⊙) SPT results allow for the presence AGN feedback energy, the higher-mass (≳5 × 10^11 M ⊙) ACT results show significantly less energy than predicted in the simulation including AGN feedback, while more closely matching the simulation without AGN feedback, indicating that AGN feedback may be milder than often predicted in simulations. Sebastien Peirani, A Sonnenfeld, R Gavazzi, M. Oguri et al. Using the two large cosmological hydrodynamical simulations, Horizon-AGN (H-AGN) and Horizon-noAGN (H-noAGN, no AGN feedback), we investigate how a typical sub-grid model for AGN feedback affects the evolution of the total density profiles (dark matter + stars) at the effective radius of massive early-type galaxies (M*>10^11 Msun). We have studied the dependencies of the mass-weighted density slope gamma'_tot with the effective radius, the galaxy mass and the host halo mass at z~0.3 and found that the inclusion of AGN feedbackalways leads to a much better agreement with observational values and trends. Our analysis suggests also that the inclusion of AGN feedback favours a strong correlation between gamma'_tot and the density slope of the dark matter component while, in the absence of AGN activity, gamma'_tot is rather strongly correlated with the density slope of the stellar component. Finally, we find that gamma'_tot derived from our samples of galaxies increases from z=2 to z=0,in good agreement with the expected observational trend. The derived slopes are slightly lower than in the data when AGN is included because the simulated galaxies tend to be too extended, especially the least massive ones. However, the simulated compact galaxies without AGN feedback have gamma'_tot values that are significantly too high compared to observations.